There has been a lot of talk about Kanban recently. Many software development organizations have picked up Kanban based approach to speed up their growth. There are several great Kanban specific tools available for personal and professional use, e.g. Trello, Taiga, and even Visual Studio by Microsoft. So, what makes Kanban such a great way to manage software development - and why should you give it a thought. We will see it all in this blog post. In layman terms - Kanban lets you write everything going on in the project on a board. Writing everything at one place gives you a bigger picture of things going on. It also lets you identify the bottlenecks plaguing the project. So, yes, a signboard, a big todo list for the whole project, but incredibly simple, and incredibly useful. Lets consider a typical scenario - there are 8 tasks lined up for the release next week. 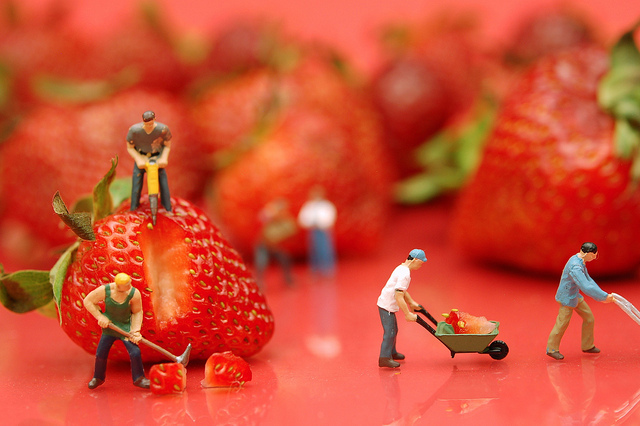 All the tasks were added to the Kanban board and assigned to the relevant team members. A day before the release, 6 tasks related to development of features are all done. Remaining 2 tasks for documentation are still in the “In Progress” phase. The issue - developers focussed on the coding part and neglected the documentation. Solution - focus on the parallel/inline documentation and learn a lesson for future. Not that this solution was difficult to arrive at, but the visual representation makes it much more easy to conclude and identify the bottlenecks. Ease of use and adoption: Not only free from technical jargon, Kanban is also extremely easy to implement at project level. You just need a board - if you have issues with online tools, you can set it up with few sticky notes pasted on a white board! Applicable to almost any field: In one of the previous blog posts, we talked about adoption of Agile in non technical projects. On similar lines, Kanban is a perfectly fit approach to be taken up in almost any field. Dynamic status: If updated regularly, Kanban is very handy in giving you a clear cut picture of the overall project status - no scrolling through huge excel sheets or trying to find the meaning of a complex graph! Just a glance and you already know what’s wrong with the project. 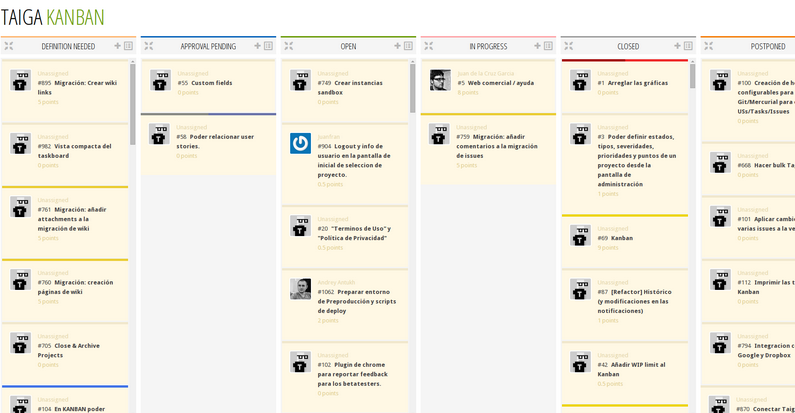 Taiga is one of the few open source Kanban tools, designed keeping usability in mind. It is dead easy to get started with - unlike almost all the big names out there, you don’t need a credit card or agree to a long EULA (end user license agreement). You can even close your account anytime - no questions asked. So, there is nothing to lose - but a lot of things to gain. Just create your account (it takes less than a minute) and select the project template (Scrum or Kanban) you’d like to use. Here is a small video to demonstrate new account creation.